What is the Wharfedale Vista 200S? The Wharfedale Vista 200S is an affordable stereo soundbar and subwoofer combination. It uses the same main unit as the previously released Vista 200 but now adds a wireless subwoofer – hence the 'S' suffix. The Vista 200S is designed to upgrade the sound performance of a modern TV using a low-profile design that can still sound big thanks to stereo speakers, a pair of reflex ports, solid amplification and an active sub. The Vista 200S currently retails for around £219, which is a cracking price for a soundbar and subwoofer combo. So let's see if this stylish 'bar can beef up your TV's sound quality without getting in the way. The Wharfedale Vista 200S is an attractively designed soundbar with a metal front grille, and a long and slender cabinet. The glossy black top is pretty, but it also tends to reflect the TV picture which is annoying. 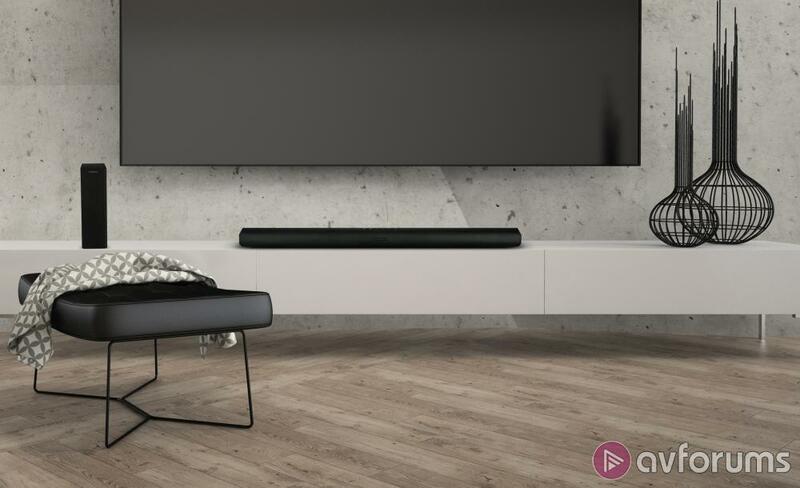 Thankfully its low-profile form factor of just 62mm high allows the soundbar to be placed unobtrusively in front of your TV without blocking the screen. The overall build quality is fairly good for what is a budget product, and there are feet so the soundbar can sit securely on a stand. Wharfedale also include brackets and screws for those who would rather wall mount. At the top of the soundbar there are some basic controls in case you misplace the remote, which is pretty likely considering how small it is. On the front of the soundbar there are a number of coloured LED indicator lights (Wharfedale has dropped the full display that graced the previous Vista 100), while at the rear are all the physical connections. 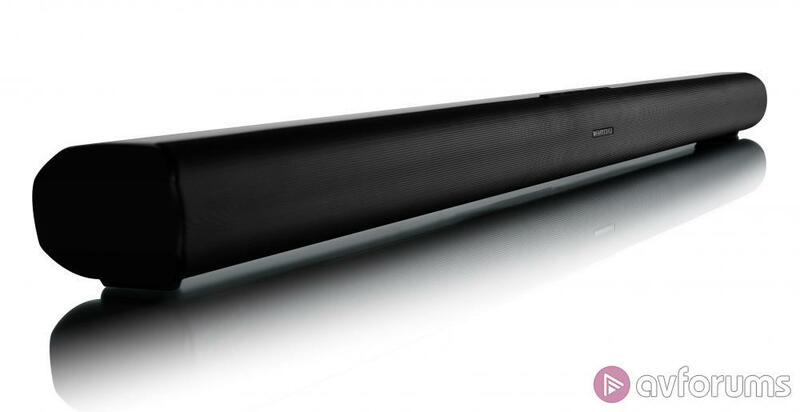 The soundbar is identical to the Wharfedale Vista 200, and measures 900 x 62 x 92mm (WxHxD). All the connections on the Wharfedale Vista 200S are housed in a recessed area at the rear of the soundbar, and here you'll find a single HDMI input with support for ARC (Audio Return Channel). There's also optical and coaxial digital inputs, along with 3.5mm analogue input, a two-pin connector for the provided power cable, and a USB port for service only. The Vista 200S also supports Bluetooth v4.2 for a wireless connection to various Bluetooth sources. 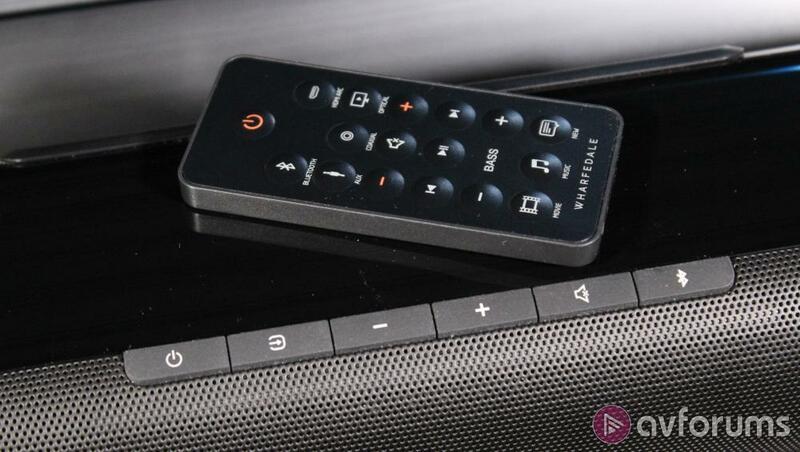 There are a number of basic controls on the soundbar itself, these buttons have a rubber finish and allow you to change volume, mute the sound, choose the source, select the Bluetooth mode, and turn the soundbar on and off. There is an included remote control, although it's very much the kind of tiny remote you can easily lose down the back of the sofa. This remote allows you to turn the soundbar on and off, choose from the various possible sources (HDMI, Coaxial, Optical, Aux, and Bluetooth), adjust the volume, and mute the sound. You can also set the subwoofer level, play/pause/skip tracks when in Bluetooth mode, and choose between three different EQ modes (Movie, Music, and News). If you're connecting the Vista 200S to your TV using HDMI-ARC, then thanks to the wonders of CEC you can control the soundbar using your TV's remote. The Wharfedale Vista 200S isn't exactly feature packed, although that's hardly surprising given the price point. However, it does have a pair of high-quality dynamic driver assemblies, positioned at either end of the soundbar. These are augmented by two reflex ports to aid bass response, and the two drivers are powered by 30W of digital amplification apiece. There are three equaliser modes that have been tailored for different content: Movie, Music, and News. The Movie mode is more expansive for TV shows and films; the Music mode gives a cleaner response for stereo music; and the News mode emphasises dialogue for news programmes and documentaries. You can select these modes using the remote control. The main feature of the Vista 200S, and the thing that differentiates it from the Vista 200, is the inclusion of a wireless active subwoofer. This compact and slimline model is made of MDF, measures 409 x 120 x 300mm (HxWxD), and packs in a side-firing 165mm driver with 60W amplification. Wharfedale claim it can deliver deep, punchy bass to augment the soundbar and ensure a powerful, room-filling performance. The Wharfedale Vista 200S is a piece of cake to set-up – you simply position it in front of the TV, either on a stand or by wall mounting using the provided brackets. Then all you need to do is connect your various sources. 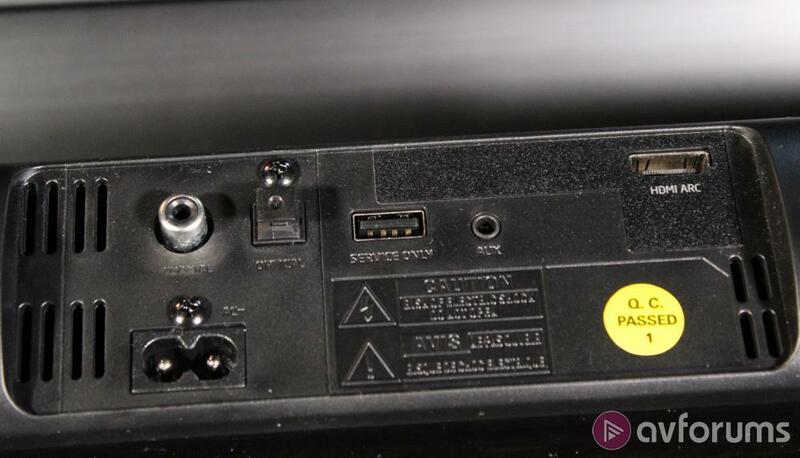 The main method will probably be to attach the HDMI port on the soundbar to the HDMI-ARC port on your TV: this will allow the TV to send audio from other connected devices or the internal tuner and apps back to the soundbar via the HDMI connection. If you want, you can also connect sources using the optical and coaxial digital inputs or the 3.5mm analogue jack. Once everything is connected then you simply plug the soundbar and subwoofer in and turn the soundbar on. The soundbar will automatically pair with the subwoofer, and you're good to go. The LED indicators on the front use different colours to denote different sources: red means standby, green is Aux, blue is Bluetooth, orange is Optical/Coaxial, and white is HDMI. Aside from changing the volume and selecting the equaliser mode, you may also need to fine tune the subwoofer. You can do this by adjusting the bass level using the remote control. For testing I connected my LG 65C8 OLED TV via HDMI-ARC to the Vista 200S, and then I connected an LG UP970 UHD Blu-ray player, a Sony PS4 Pro, and a Humax FVP-5000T set top box to the TV itself. I also tested the optical and coaxial digital inputs, as well as the 3.5mm jack, before testing the Bluetooth connection using my Apple iPhone X. 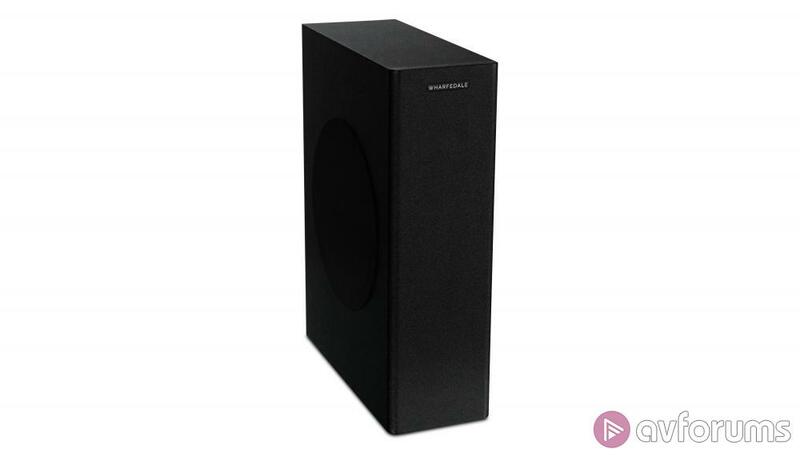 The Wharfedale Vista 200S is an excellent little performer, primarily because the company has sensibly concentrated on getting the basics right, rather than trying to be all things to all people. 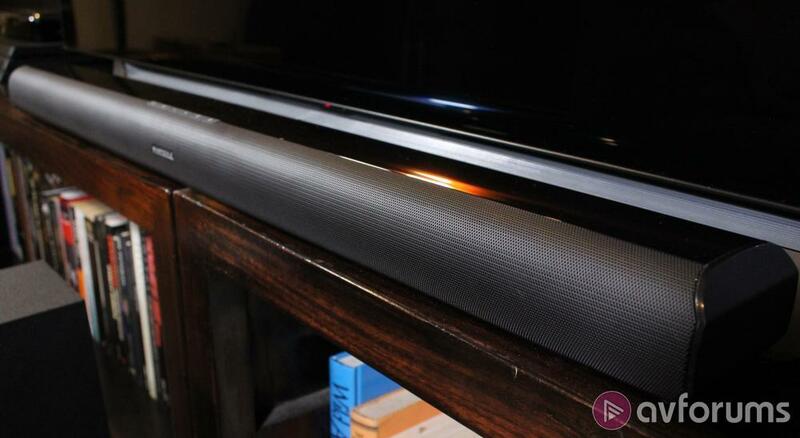 This soundbar might not support multichannel or multiroom features, but that was never the intention. Its main purpose is to provide an affordable upgrade to the audio on your new ultra-thin big screen TV, resulting in a sound quality that actually matches the awesome pictures. In that sense the Vista 200S is an unqualified success. The soundbar itself is well made, with good quality drivers placed at either end. There's a decent amount of amplification too, along with bass reflex ports to boost the lower end. As a result the soundbar sounds good just on its own, which is worth remembering if you don't need the subwoofer and are considering the Vista 200 instead. However, the addition of the wireless active subwoofer, unusual at this price point, means the Wharfedale can deliver deeper bass. The width of the Vista 200S means that the audio has a decent amount of stereo separation, and as a result it can create an open front soundstage. The Wharfedale is a good match for TVs with screen sizes up to 65 inches, and it's wide enough to deliver music and effects on either side of the screen. The soundbar is capable of an excellent mid-range, which allows for clear and focused dialogue. It also has a well-defined higher-end, allowing for better rendering of music and effects. The included subwoofer, while not huge, is certainly able to deliver a decent bass performance. It's well integrated with the soundbar and the result is a combination that feels bigger than it looks, and delivers some solid bass into the bargain. With a total off 120W of amplification between the 'bar and sub, the Vista 200S can go loud without distorting or becoming strained, and there's more than enough bass to give movies plenty of visceral impact. The Wharfedale can handle regular TV programmes with ease, with the newscasters and commentators all sounding clear and well defined. The music in a show like Masterchef was also nicely rendered, while documentaries sounded great in terms of the voiceovers, music and effects. When I moved on to something a little more challenging such as Star Trek: Discovery, then the audio had a greater sense of scale, with more effects and an increased amount of bass. The testing of the Vista 200S coincided with a marathon re-watching of Game of Thrones, in anticipation of the final season arriving soon. The Vista 200S did an excellent job of delivering the superb dialogue clearly, while the music had a pleasing quality that was also nicely defined. The effects in the action sequences were delivered with precision, while the subwoofer added some excellent impact. There was obviously no surround presence, but the Wharfedale was able to create an effective sonic presence at the front of the room. The various equaliser modes are designed for specific content, and you can select the correct one using the remote. The Movie mode gives the audio a bit more spaciousness but it isn't over-the-top, nor does it make everything sound echoey like the movie modes on some soundbars. The Music mode places the emphasis on a clear and unprocessed stereo delivery, that is ideal for music. As a result when listening to the recently remastered Kate Bush albums, the soundbar was able to deliver a clean and focused performance, with excellent clarity and localisation of instruments. Finally the News mode provides greater emphasis on dialogue, and is great for documentaries and cooking shows, as well as the news. Overall the Wharfedale Vista 200S delivered an excellent audio performance for what is essentially a budget model The inclusion of a subwoofer is highly unusual at this price, and the result is a soundbar that can hold its own against rival products that are twice the price. The Wharfedale Vista 200S is a nicely designed and well made soundbar, with a low-profile cabinet that ensures you can place it in front of your TV without blocking the screen. The Vista 200S is intended to offer an affordable soundbar option, allowing you to upgrade the audio of your TV in an easy-to-set-up and cost-effective manner. Understandably the features are fairly limited, with none of the multiroom or multichannel functionality found on more expensive models, but you do at least get Bluetooth, HDMI, and EQ modes. 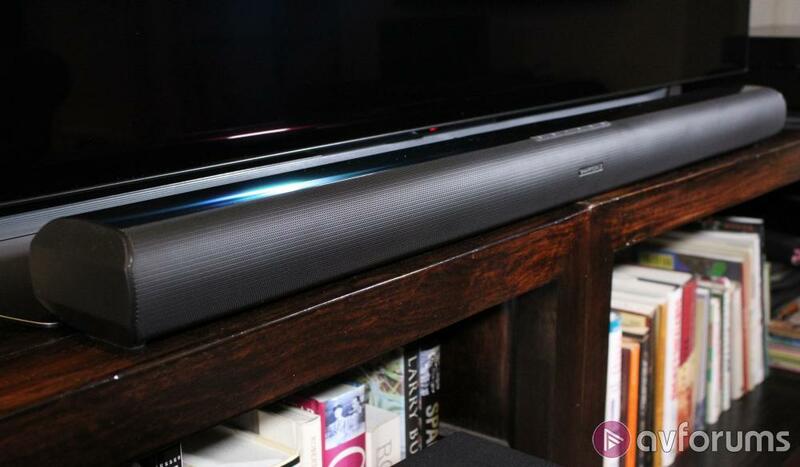 The soundbar itself is identical to the previously released Vista 200, and has the same two-channel configuration backed by a decent amount of amplification. Unlike the earlier model this new version also comes with an active wireless subwoofer, which means the bass performance is significantly better than the basic stereo option. The resulting combination performs extremely well considering the price, delivering an excellent stereo performance with a decent low frequency foundation. The Wharfedale Vista 200S is one of those soundbars that performs exactly as it's designers intended, allowing you to upgrade the sound quality of your TV without breaking the bank. When you consider the performance and the price, the Vista 200S is definitely worthy of a Best Buy badge. The Wharfedale Vista 200S is certainly competitively priced, and it's hard to find any soundbars with an HDMI connection and a wireless subwoofer for less than £250. 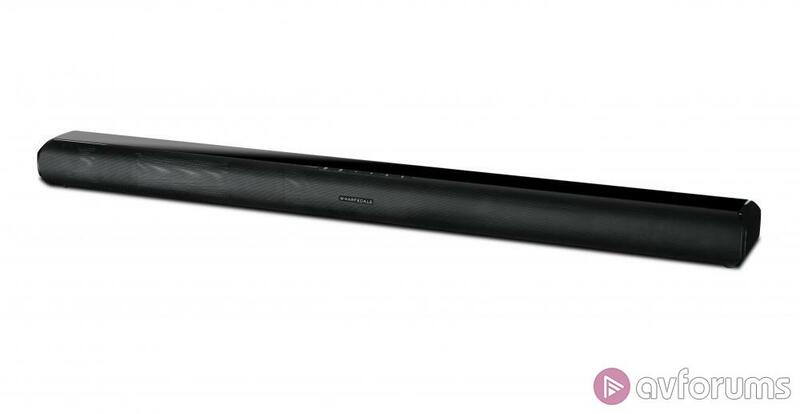 In fact the closest we have seen recently is the Acoustic Energy AEGO Soundbar, which can also be picked up for £219. This little 'bar certainly sounds great and includes a wired subwoofer, but unlike the Vista 200S there's no HDMI connection. If you're not worried about the sub there's more choice at this price point, not least the Wharfedale Vista 200 which you can pick up for £149. There's also the excellent Q Acoustics M3, which will set you back £229 but has an HDMI connection and an impressive low-end thanks to built-in bass drivers. Finally, there's the Yamaha YAS-107, which costs £249 and sounds fantastic. It has two HDMI connections, supports DTS Virtual:X, and there's even the option to add a wired subwoofer. Write your Wharfedale Vista 200S Soundbar review.